Do you ever have something on your mind that gives you the urge to tell someone who isn’t close to you, or in any way that could affect others? Vent, created by Dean Serroni , doing exactly what its name says, lets users vent to other random users. What’s also very convenient about it is that your contacts list is pushed out of the picture, giving the user complete privacy to their posts, also known as vents, on their profile if they wish to remain anonymous or not. The app itself can be addictive considering that you can find other vent posts categorized by emotions such as calm, irritated, annoyed, angry or furious and mild to intense. Throughout the app, you also have the choice of following other users alongside commenting and leaving an icon vote for them. 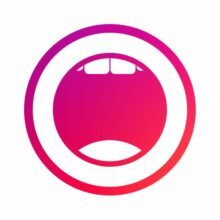 Vent’s purpose is to just be a comfortable form of social media to airdown issues and is a great way to relieve stress, anxiety or perhaps any other emotion you could feel overall, basically a virtual way to get something off your chest. Plus this app is more targeted to most adolescent users considering that most of the overall users attend high school or some other secondary education. It’s also a better way for expression instead of bottling stuff inside. Overall, it’s more healthier then keeping things unsaid. Currently, the app is available on different platforms for download such as the App Store for iPhone iOS and Google Play for Android users.